The Church exists to increase awareness of God’s presence and to celebrate God’s love. 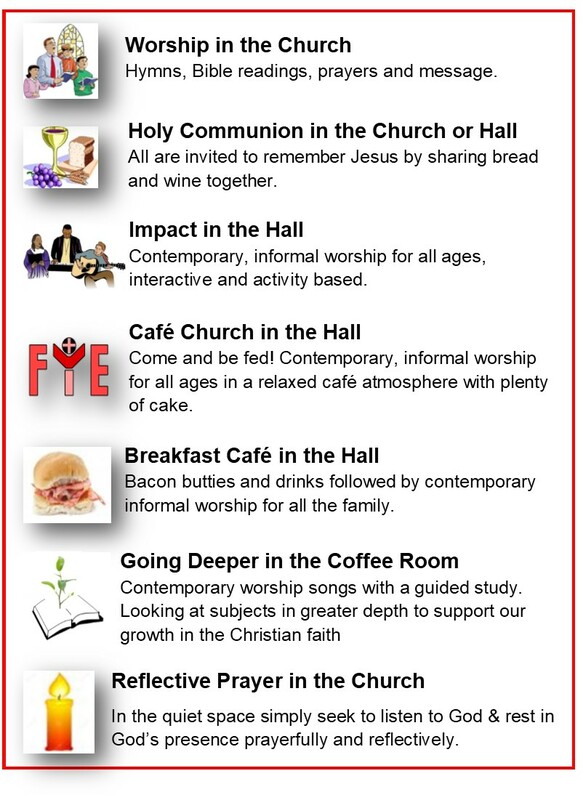 We offer a range of worship styles at different times on a Sunday to meet the needs of families with busy lives, those who prefer an informal style and members who enjoy a more traditional approach. or refer to I’m New page for a quick look at our other activities.